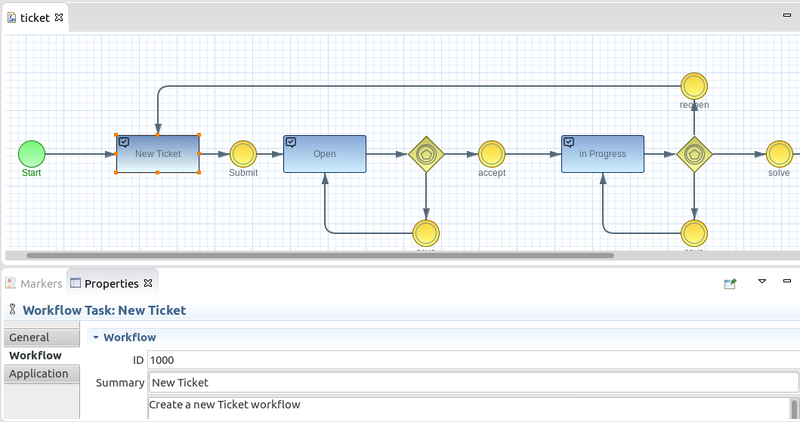 Imixs-BPMN is a free modelling tool to create process models for the Imixs-Workflow framework. Imixs-BPMN takes the full advantage of all the capabilities from the BPMN standard and complements them with the requirements to a workflow management system. Imixs-BPMN enhances the Eclipse BPMN2 Modelling Framework with the aspects of a human-centric workflow model executable on the Imixs-Workflow Engine. The section Overview provides general information about how you can use the Imixs-BPMN modelling tool. To install Imixs-BPMN please see the Installation Guide. In the section ‘How to model’ you will find examples how you can model your business logic with Imixs-BPMN.